Modern embedded systems require high performance, low cost and low power consumption. Such systems typically consist of a heterogeneous collection of processors, specialized memory subsystems, and partially programmable or fixed-function components. This heterogeneity, coupled with issues such as hardware/software partitioning, mapping, scheduling, etc., leads to a large number of design possibilities, making performance debugging and validation of such systems a difficult problem. Embedded systems are used to control safety critical applications such as flight control, automotive electronics and healthcare monitoring. Clearly, developing reliable software/systems for such applications is of utmost importance. 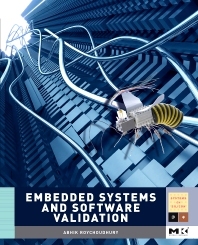 This book describes a host of debugging and verification methods which can help to achieve this goal. Includes practical case studies to answer the questions: does a design meet its requirements, if not, then which parts of the system are responsible for the violation, and once they are identified, then how should the design be suitably modified? Abhik received his M.S. and Ph.D. in Computer Science from the State University of New York at Stony Brook in 1997 and 2000 respectively. His research has focused on formal verification and analysis methods for system design, with focus on embedded software and systems. In these areas, his research group has been involved in building practical program analysis and software productivity tools which enhance software quality as well as programmer productivity. Two meaningful examples of such endeavor are the JSlice dynamic analysis tool for Java program debugging, and the Chronos static analysis tool for ensuring time-predictable execution of embedded software. His awards include a 2008 IBM Faculty Award. Since 2001, Abhik has been at the School of Computing in the National University of Singapore, where he is currently an Associate Professor.